Arthur A. Levine Books, 9780545558693, 40pp. 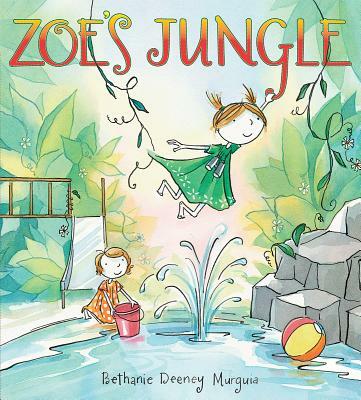 A quest book, a sister story, and a race against the clock, Zoe's Jungle is a heartwarming tale of adventure and imagination. Bethanie Deeney Murguia is the author and illustrator of Princess! Fairy! Ballerina! and the Zoe series, beginning with Zoe Gets Ready, among many other beautiful picture books. She lives with her family in Sausalito, California. Please visit her website at www.aquapup.com or find her on Twitter at @aquapup.